Heather Horst presented the paper “Mobile Branding and the Curation of Consumer-Citizens in Fiji” at the American Anthropological Association Conference on November 20 2015 in Denver. 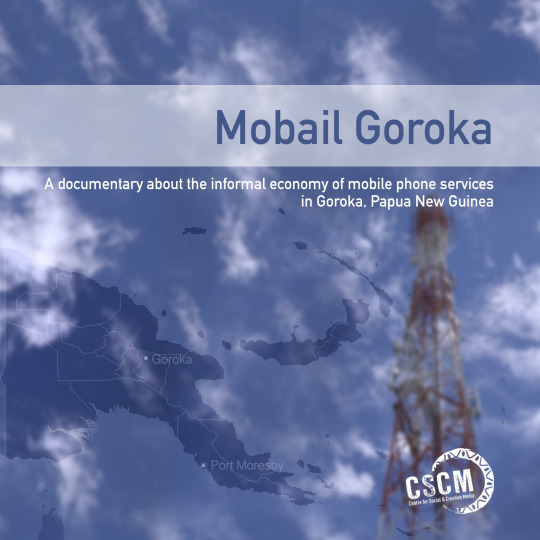 Throughout many parts of the Pacific the growth of the mobile phone use has corresponded with an increase in advertising of new mobile telecommunication services and a range of promotions and sponsorships. From billboards, signs and radio jingles to branded t-shirts, bags and umbrellas, advertisements and associated branding strategies are designed to create consumers and develop demand for an evolving suite of mobile-enabled services, often making aesthetic connections between mobile companies and local, national and global senses of belonging. 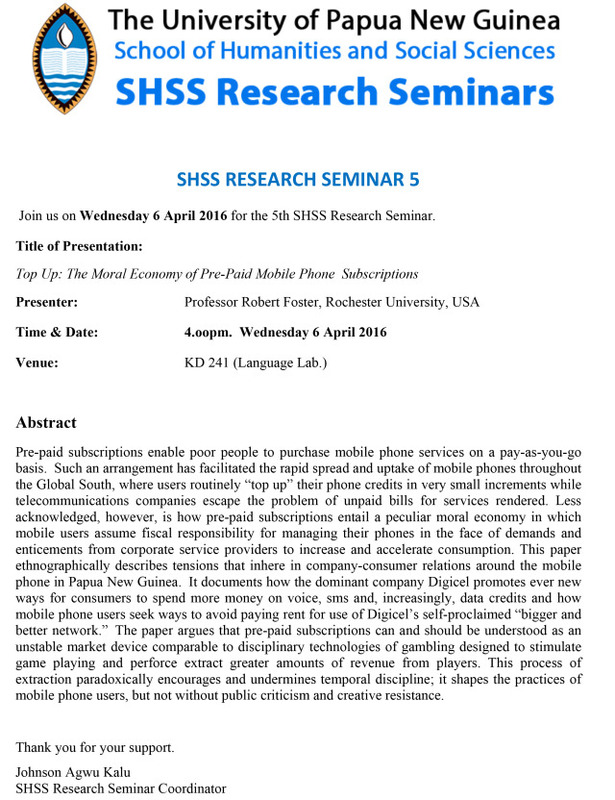 This paper traces the development of mobile telecommunications branding in Fiji, beginning with Vodafone Fiji Ltd in 1994 and continuing through the ‘mobile phone wars’ that accompanied the entree of Inkk Mobile (a subsidiary of Vodafone Fiji) and Digicel Fiji in 2007 and 2008, respectively. Situating branding strategies within the Fiji’s changing political climate and the recent transfer of Vodafone Fiji from a 51% to 100% state owned company. I analyse the continuous moral and cultural work that mobile companies engage in to create both consumers and national-network citizens. Through the paper’s focus upon the reactions to and, in some cases failures of, mobile branding strategies to create robust consumer-citizens, I demonstrate how the semiotic work of creating mobile phone consumers and, by extension, consumer-citizens cannot be understood outside broader state-company relationships that shape the telecommunications industry.